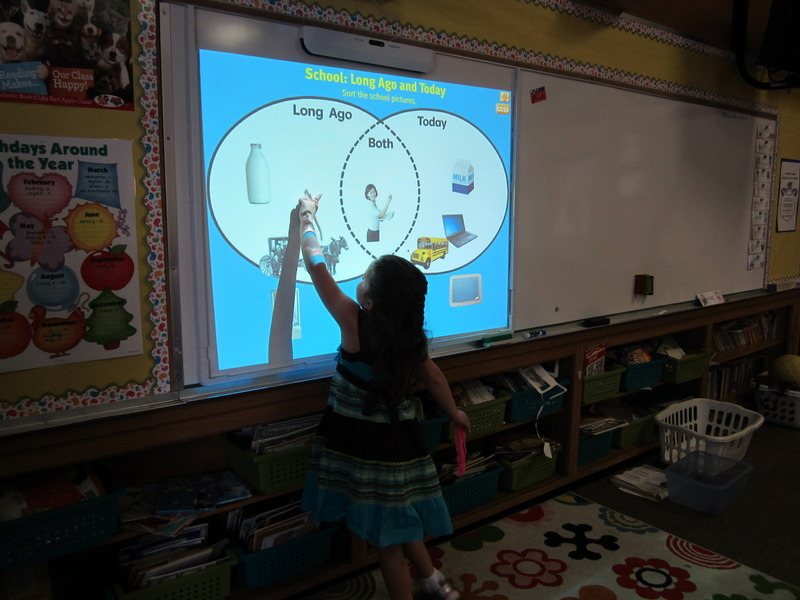 A while back, I mentioned that my principal had ordered some interactive whiteboards for our school and one was for me! I now present my new best friend! Aaaaaaaaaaaaaaaaaaaaaaaamazing. Before today I didn't even have an overhead in my class. This is a big deal in my life. I haven't actually used the software yet that came with it (it's a Starboard) and it seems sort of confusing. I'll figure it out though! 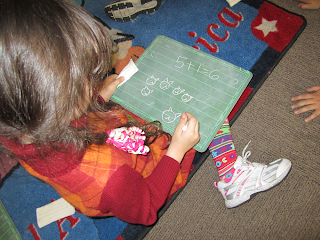 Moving on, in first grade we are learning how to add and today we worked on number stories! We were only technically supposed to be learning how to write a number sentence based on a word problem, but they really wanted to draw out the problems. Definitely doable! I like to gow to the porc! Otherwise spelled as "go to the park", haha. Anyway, I feel absolutely PUMPED that my first graders are applying letter sounds to write phrases!!!!!! I think Writer's Workshop is paying off big time!! Congrats on the new fancy pants board! How fun...and much needed for you ;)!